We are a professional UK limited company with 29 years experience in the wall coatings industry. 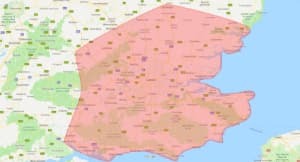 We are based in Kent but provide a first class service throughout the south of England. The company is run by a father and son team who have developed the company from its conception. During this time we have seen the service grow in popularity as people invest for the long-term future of their properties. A large proportion of our work now comes as a result of referrals from many of our satisfied customers. 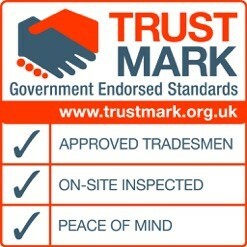 We are proud to be one of the few exterior wall coating companies that have been awarded the highly coveted Government endorsed Trustmark accreditation (www.trustmark.org.uk). This scheme was set up to help consumers find reliable and trustworthy tradesmen to carry out work on their property. Our technical skills have been independently checked through on-site inspections and customer satisfaction has been monitored. As part of the scheme, we are able to offer an Insurance backed warranty and deposit protection. We are committed to working at first class standards whilst remaining competitively priced. We have increased the number of products and services we offer to meet the varying budgets and demands of our customers and we only use the best materials available from market-leading suppliers. Our applicators have been developed and trained to provide a professional service to our customers and have an excellent knowledge of the products and services we provide. We strive to be market leaders in customer service by monitoring customer feedback and reacting to the information to stay ahead of the competition. We are opposed to high-pressure selling and do not employ salesmen. If you request a free quote, an experienced member of the company will visit you to discuss your requirements, show you product samples and advise you on the best course of action for you and your property. Our customers buy from us, we do not need to force sales upon them.